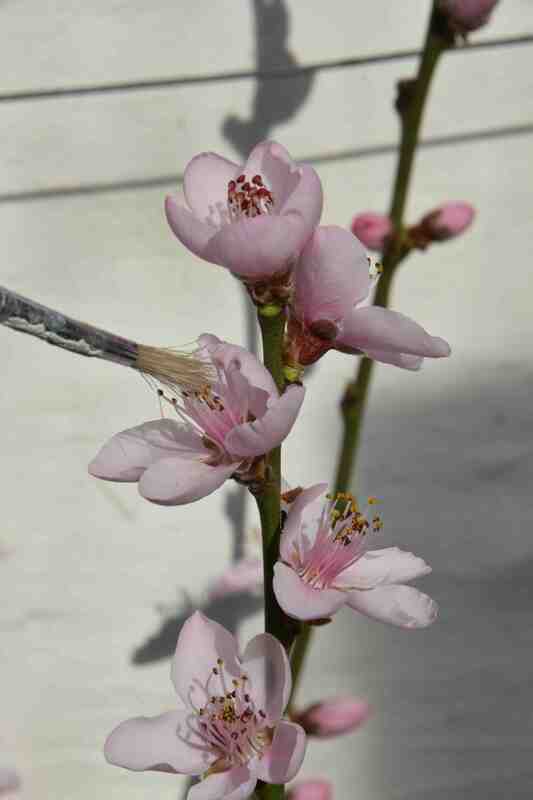 It is spring in the greenhouse and the peaches are in full bloom. 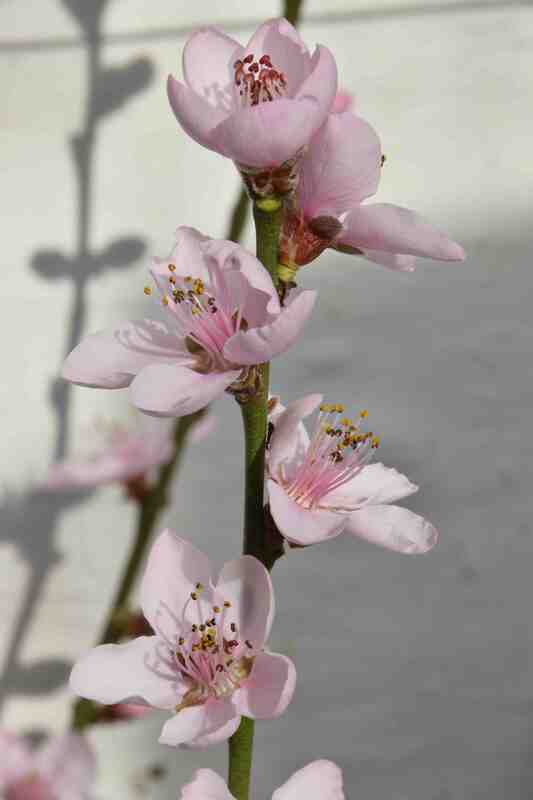 There are two peach trees, not because two are needed to ensure pollination but because I like peaches! Although both are ‘Peregrine’ one of them flowers about a week earlier than the other: well starts a week earlier but now, when they are in full flower, they overlap completely. Although self-fertile, peaches bloom early when there are few, if any, pollinating insects around so it pays to hand pollinate them. This is easily done with a small brush though it is a bit time-consuming because the peach trees, which are now 2 years old, each have hundreds of flowers. Because the flowers open over several weeks and not all are shedding pollen at the same time I do the job every other day. I try to do the job at lunchtime when the greenhouse is at its warmest (this section of the greenhouse has no artificial heat). When the flowers are pollinated and fertilised successfully the centre of the flower flushes red so you know you have succeeded. I need to make sure I water the bed well so the fruits set and the next big job will be thinning the fruits – ironic but necessary.